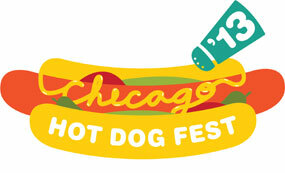 Give yourself a crash course in hot dogs at the first-ever Chicago Hot Dog Fest at the Chicago History Museum in Lincoln Park. The free outdoor event takes place Sunday, August 11 behind the museum at Uihlein Plaza. There will be hot dogs available for sale as well as a cash bar. “Man Bites Dog” authors Bruce Kraig and Patty Carroll will give a presentation about America’s fascination with hot dogs. Hours are 11:00 a.m. to 3:00 p.m. Entry to the museum is free from 2:30 p.m. – 4:30 p.m.
As an incentive to arrive early, the first 100 guests will receive eight free food tickets.